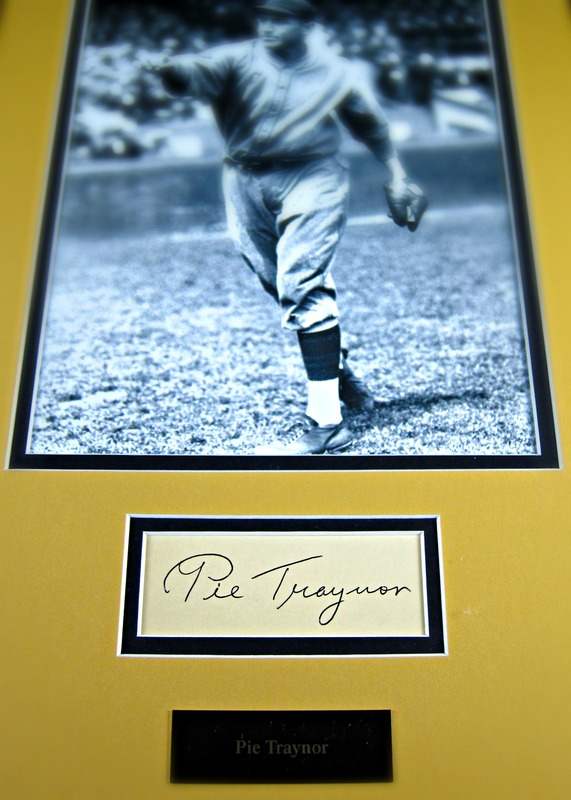 Cut signature and 8 x 10″ black and white action photo of the Pittsburgh Pirates third baseman and Hall of Fame member, Pie Traynor. 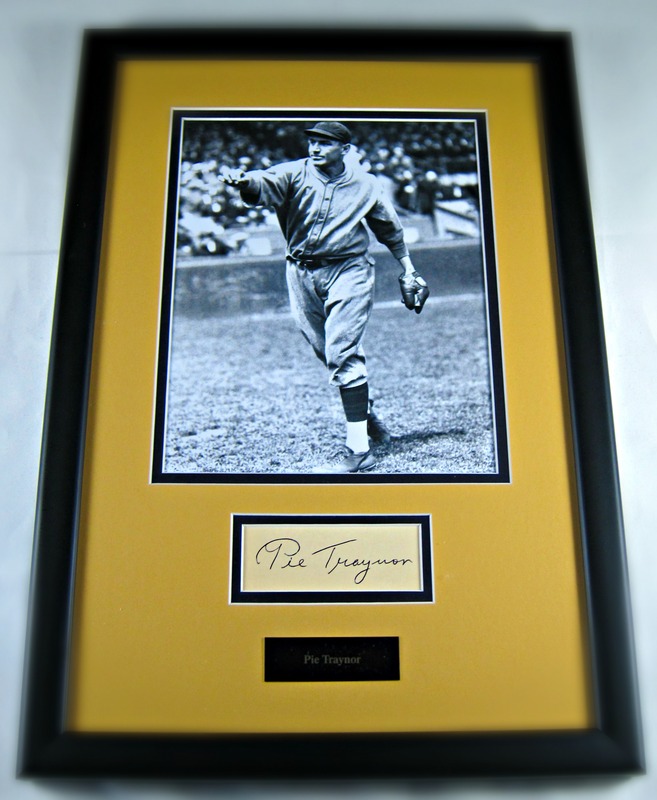 It comes museum quality matting and framing. Letter of authenticity from Memorabilia Center.